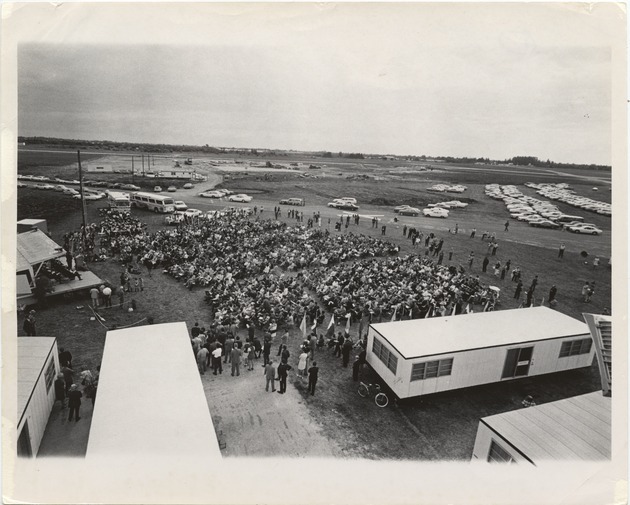 In 1965, Florida Senator Robert M. Haverfield introduced Senate Bill 711, which instructed the state Board of Education and the Board of Regents (BOR) to begin planning for the development of a state university in Miami. An abandoned airfield is an unusual place for the birth of a university. But in the summer of 1969, founding FIU president Chuck Perry gathered three leaders who would help him create his vision. Butler Waugh, Donald McDowell and Nick Sileo joined the 31-year-old Perry at Tamiami Airport and set up shop in the former air traffic controllers' tower. The tower had no phones, no drinkable water and no furniture. President Perry decided that the control tower should never be destroyed and so it remains standing today at the center of campus, as FIU's Ivory Tower. From that single building on that abandoned airfield, FIU has grown to be one of the largest universities in the country. The spirit of entrepreneurship born on that summer day thrives at today's FIU. 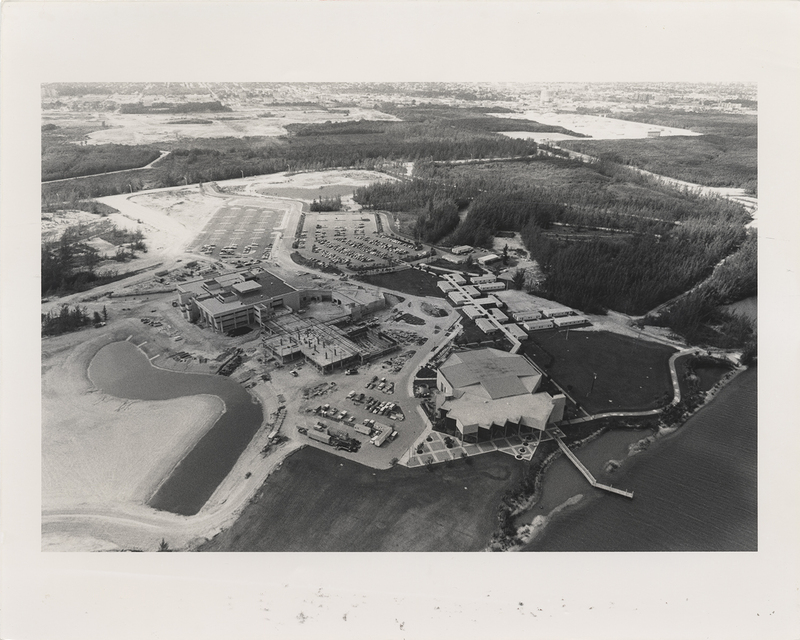 Our beginnings were unconventional; our opening day in 1972 continued that trend. With 5,667 students, it was the largest opening enrollment in U.S. collegiate history. The typical student entering FIU that year was 25, attending school full-time and working full-time. Eighty percent of the student body had just graduated from Miami-Dade Community College. Forty-three percent were married. FIU was far from your typical university. After seven years of leadership, President Perry left the university. At the end of his tenure, there were more than 10,000 students attending classes and a campus with five major buildings. In 1976, Harold Crosby became FIU's second president, agreeing to serve a three-year interim term. Under his leadership, the North Campus (now the Biscayne Bay Campus) opened in 1977. 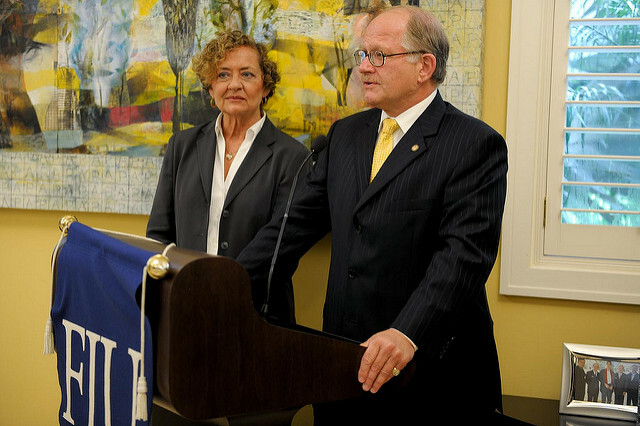 President Crosby was insistent that the “I” in FIU be highlighted, prompting the launch of new programs with an international focus and faculty recruitment from the Caribbean and Latin America. President Crosby's resignation in 1979 triggered the search for a permanent president. FIU's third president came with an impressive pedigree; Gregory Wolfe was a former White House statesman and president of Portland State University. In August 1986, the Board of Regents unanimously approved Modesto A. “Mitch” Maidique as FIU’s fourth president. The former Harvard Business School professor and high-tech entrepreneur had a clear vision and goals for the University. On August 28, 2009, Florida International University's fifth president, Mark B. Rosenberg, took the oath of office. Rosenberg is former chancellor of the State University System of Florida and the first FIU faculty member to ascend to the presidency of the university. "Today we begin a new era that speaks to the times we are in," said Rosenberg to thousands who gathered at the U.S. Century Bank Arena, on the Modesto A. Maidique Campus in West Miami-Dade County. "In this new era, we must put our students at the center of who we are, engage our community like never before and reinforce our partnerships with key institutions in South Florida." We are here today to celebrate this magnificent institution. We are here today because we care. We are here today because of our hungry heart for FlU. We are here today because of our commitment to the life of the 21st century mind-our commitment to learning, to entrepreneurship, research, innovation, and to creativity. We are here today because we know we can work better together to prevent and solve problems using the blessings of our knowledge and passion. We are here today because there is more to be done. In this New Era, students will be at the center, research and creative activity will be the driver, engagement and partnerships will be the mode. Read the full biography of Dr. Rosenberg. 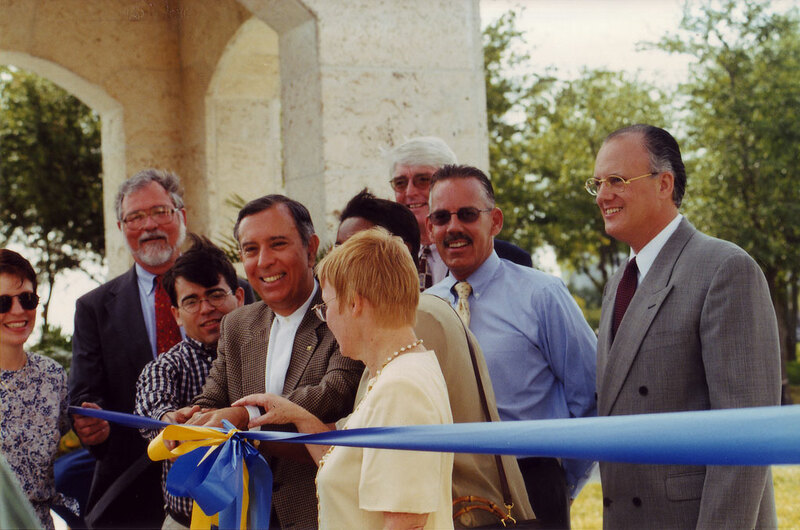 Want to know more about FIU's past presidents? Get the full story.